Description: 12 romantic sentiments to choose from for your someone special. 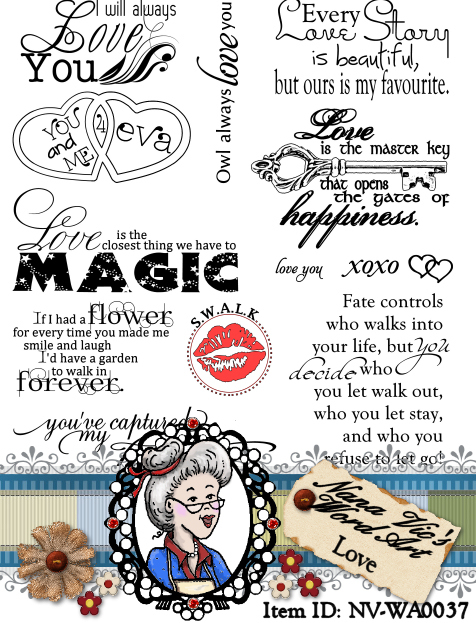 The digital stamp that is hidden behind the Nana Vic logo says; you've captured my heart.They are perfect designs / sentiments for card making, scrap booking or just about wherever you need to place a special image / words for that special occasion or layout. The automatic download contains 12 individual JPG and semi-transparent PNG files, 2 full sheets in JPG and PNG and a cover JPG image. Bonus digital stamp is the 2 little hearts. All are in 300 dpi for easy re-sizing.